There’s something intangible about a first-time festival, and the community it brings together to celebrate the universal love language — music. 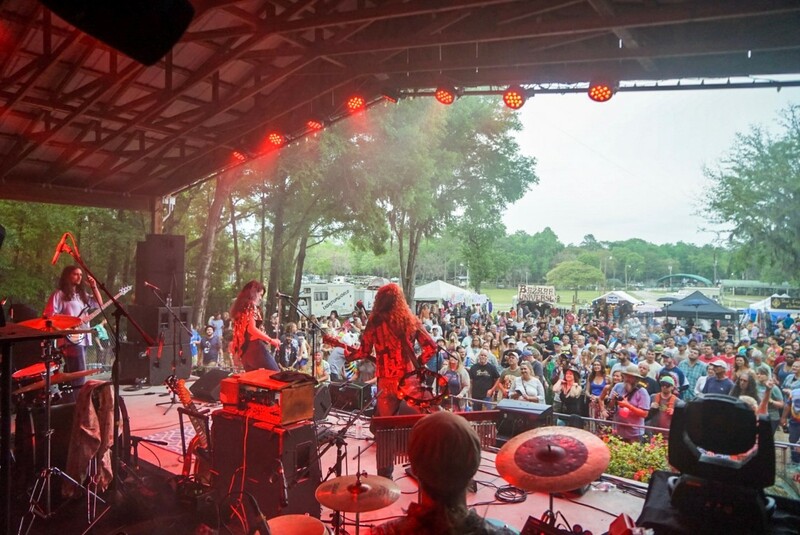 Suwannee Rising did just that last week, April 4-6, gifting roughly 3,500 visitors to the Spirit of the Suwannee Music Park with a brand new experience under the trees of Live Oak, FL. The event was a small miracle in and of itself, having little more than two months to transform from an idea to reality. Since the park’s beloved Wanee Festival was absent from its April calendar for the first time since 2005, a new promoter stepped in to fill the void. 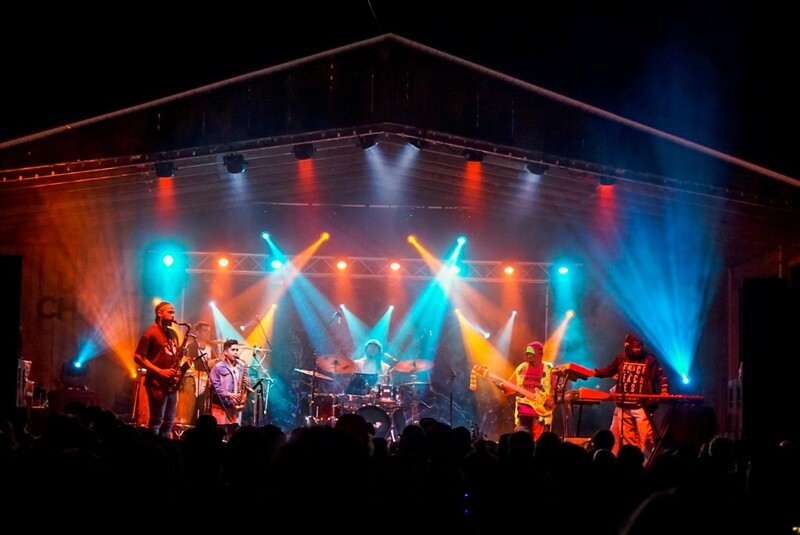 Suwannee Rising’s music lineup boasted a mix of jam, soul, rock and funk from artists like Lettuce, moe., New Mastersounds, Oteil Burbridge & Friends, Ghost Note, Dumpstaphunk, Melody Trucks Band, and more. And while notes of Wanee jams often hung in the air, a palpable and funky energy reminiscent of the late Bear Creek Festival also made its presence known, sparking numerous artist collaborations and spontaneous sit ins throughout the weekend. Fans found their moment of zen at the festival’s Sanctuary Tent joining in on morning yoga and guided couples massage. And those who popped for VIP enjoyed a private viewing area with its own bar, bathrooms and lounge. Florida native Melody Trucks set the tone on Thursday, performing soulful southern originals and also paying tribute to her family’s legacy and mentor Col. Bruce Hampton. She brought up vocalist Lamar Williams Jr. (son of Allman bassist Lamar Williams) for a powerful version of the Brothers’ “Don’t Keep Me Wondering.” Trucks also made guest appearances of her own throughout the weekend, joining fellow Floridian Kaleigh Baker and Holey Miss Moley on vocals and percussion. Friday night belonged to Oteil Burbridge & Friends, which featured Jeff Chimenti (Dead & Company), Scott Metzger (Joe Russo’s Almost Dead), Neal Casal (Chris Robinson Brotherhood, Circles Around The Sun) and John Kimock (Mike Gordon). Paul Levine introduced the set by reminiscing about his love of Bear Creek, addressing the loss of Oteil’s brother Kofi, and expressing his hopes for the future of Suwannee Rising. The group then performed an incredible set of classic covers from the Allman Brothers, Grateful Dead and the Beatles, among others. Later that night, Oteil returned to the main stage for a guest appearance with funk ragers Lettuce, who closed the night out Friday. Funk supergroup Ghost Note made a huge splash at Suwannee Rising. It was their first time on the festival grounds, though you’d never know it. Their Grammy-winning percussion duo, Nate Worth and Robert “Sput” Searight, made guest appearances with Lettuce Friday, while the group’s flashy bassist MonoNeon jumped in with dirty New Orleans funk act Dumpstaphunk on “Up for the Downstroke” Saturday afternoon. In addition to the Melody Trucks Band, Florida natives Come Back Alice, LPT, Kaleigh Baker’s Someday Honey, The Difference and The Fritz all represented for their state’s vibrant music scene in style. The camping spirit also rang true at Suwannee Rising, as large group campsites from Wanee and Bear Creek came together for the first time. For those lucky enough to find it, one campsite dubbed the “Shelly Smith n Co’s Dirty Poe Disco” boasted a fully rigged performance area where musicians would stop by. Orchestrated by bassist Matt Lapham of Shak Nasti and Roosevelt Collier Band, guest performers included Melody Trucks, Kaleigh Baker, members of Ghost Note and Lettuce, who played quietly so not to get shut down by park security as they jammed into the early morning hours. All in, Suwannee Rising’s warm sense of community and vibrant performances welcomed a brand new spring tradition that fans of the park should look forward to for many years to come. This entry was posted on April 15, 2019 by 850music in Posts and tagged press release.